HYDERABAD, India (29 October, 2012)_Finding ways to sustainably manage the world's natural resources is as important for labour rights as conservation, trade union experts said, noting up to two-thirds of all jobs in the developing world are linked to the environment: everything from farming and fishing to mining, timber extraction and the harvesting of medicinal plants for pharmaceuticals. HYDERABAD, India (29 October, 2012)_Finding ways to sustainably manage the world’s natural resources is as important for labour rights as conservation, trade union experts said, noting up to two-thirds of all jobs in the developing world are linked to the environment: everything from farming and fishing to mining, timber extraction and the harvesting of medicinal plants for pharmaceuticals. Christine von Weizsacker, president of the European Network on Ecological Reflection (ECOROPA), said when businesses first arrive in areas, workers and labour officials often feel they have no choice but to help their new employers cut down forests, fish out rivers, and transform once-vibrant landscapes into monotonous plantations. “We need to give our colleagues all over the world the knowledge and capacity that there are many options,” she told a labour panel at the Conference on the Convention on Biological Diversity in Hyderabad, India last week. They need to know, when the prospect of jobs are raised at international gatherings on sustainable development, green economy or carbon schemes based on REDD+ programs, the right questions need to be asked, she said. “Will it be cutting sugar cane?” she asked, pointing to well-documented slavery conditions in Brazil. Many messages at the labour unions’ panel were directed at policy makers and scientists researching different approaches to sustainable development. As studies by the Center for International Forestry Research into value chains, forest governance and the bushmeat trade have shown, more holistic development schemes often lead to more jobs. CIFOR’s Poverty and Environment Network has also shown that one-fifth of rural household income is derived from forests. 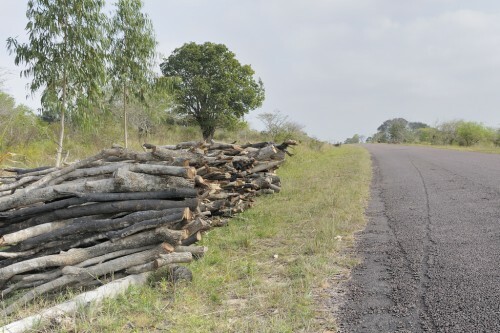 At the same time, low employment in impoverished areas can lead to deforestation – as was the case in Cameroon in the late 1990s when the economy started slowing. It can also lead to unfavorable social circumstances, as we saw in the Indonesian province of Western Kalimantan in 1997, when diving agricultural prices pushed men to migrate to Malaysia and Brunei in search of work, pulling apart families and leading to higher workloads for the women left behind. Ana Belen Sanchez, the moderator of the panel, noted that when the environment is not sustainably managed, it’s not just individuals who suffer. In the long-run, businesses, too, may fail. “Many jobs are directly and indirectly linked to ecosystems,” said Sanchez, who is also a member of the Spain-based group Sustainalabour. A healthy ecosystem, meanwhile, has a host of related benefits, like clean water, healthy soil, important for sustenance of forest communities but also labourers who living nearby, or even those based in logging camps, ranches and agro-business plantations. The loss of biodiversity hits communities hard. And as soon as a resource is completely extracted, businesses move to the next stem or stand worth extracting from and everyone suffers. Labour unions close down. Workers have no food security, they are vulnerable monetarily, and their health conditions are poor. As the earth’s climate changes, the situation is only exacerbated. “These interrelated crises require global solutions,” says Sanchez. Biodiversity loss will only stop when the link between employment and biodiversity is recognised and measures are strengthened to sustainably manage natural resources and reverse environmental destruction, she said. The presenters added that it is not enough to identify industries that are environmentally unsustainable. Stopping an industry kills jobs, so alternatives have to be found. If relevant stakeholders’ voices are not included in that search, they won’t succeed. That’s what happened when conservationists tried to create a furniture industry involving invasive shrub species in Western Ghats, a mountain range that runs along the western coast of India. As it turned out, local communities were not interested in making furniture. Weizsacker stressed that land and ecosystem rights of local and indigenous communities — most of whom have small jobs — need to be kept in mind when sustainable development designs are being considered.